Roku launches app for Windows 10 PCs and tablets. 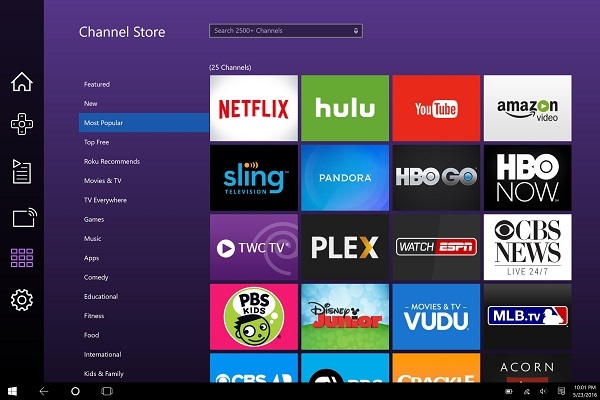 Roku today announce the availability of its app for Windows 10 PCs and tablets. This is the first time the Roku app will be available to tablet users. The Roku app for Windows 10 laptops and tablets is available in the U.S. today via the Windows app store. The app will be available internationally soon.